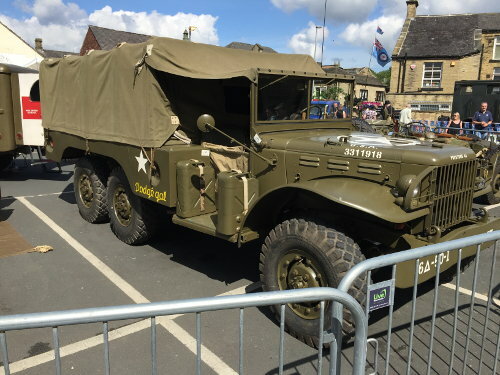 Brighouse held it’s 2nd 1940s weekend in early June attracting an estimated 30,000. 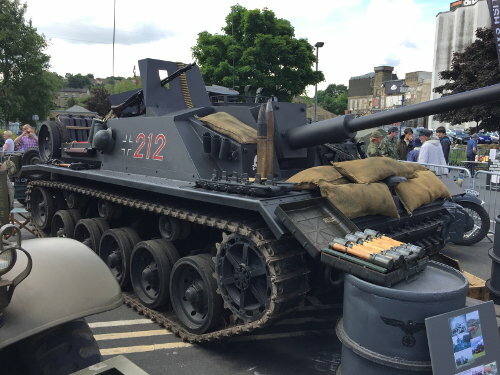 A real mix of members’ vehicles typically British and American and with the addition of Simon Taylor's Stug - a real crowd puller. 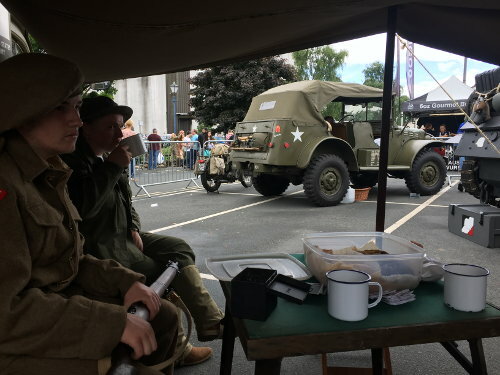 Showing true Yorkshire practicality, the Balding and Taylor families, who have some six vehicles between them, created their own makeshift NAAFI in the town square with canvas between Stuart Wright's half-track, and WC54 ambulance for cake and tea, a true collaboration! 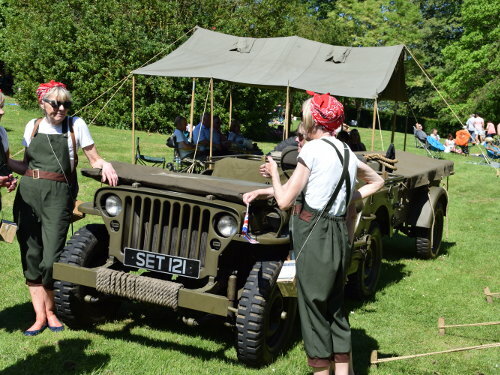 During this period, the area held a social weekend/camp in Sherburn in Elmet, Brian Slingsby our boss, reports that all very well and will plan for next year nicer weather to help it go even better. big thanks go to Adam Dixon and Gemma Womersley for their hospitality and generosity in allowing the group to use their land and facilities. 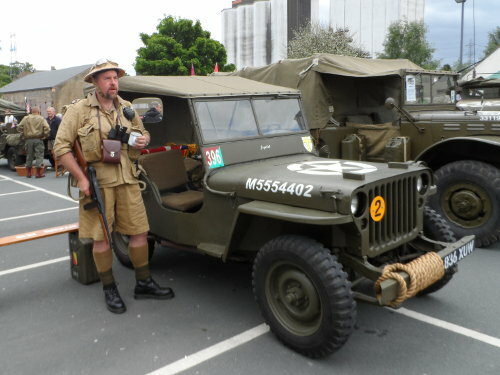 Bridlington, the location of the recent reboot of the classic Dad’s Army held their 2nd forties festival, Tony Boyle and his RN Mine clearance display team, featured in Windscreen 159 ( April ) together with a decent showing of Dodges, Jeeps and a GMC or two helped give Bridlington old town an authentic wartime feel. 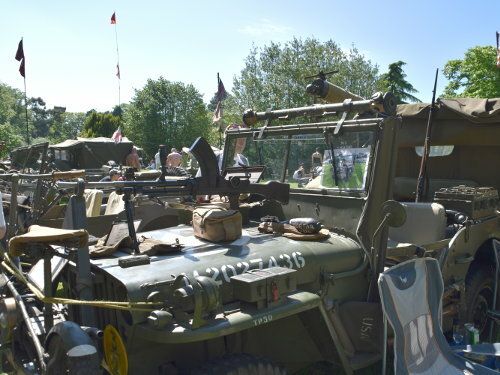 Harrogate known for its rather posh Northern spa town image of taking tea and gentle strolls in the Valley Gardens, had their annual family forties day their 7th which was another very well attended day. 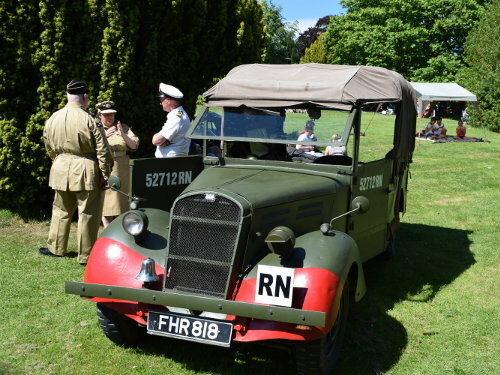 Sedate Sunday strolls in the park gave way to the sound of vintage engines and live big band music and a Spitfire fly-past. 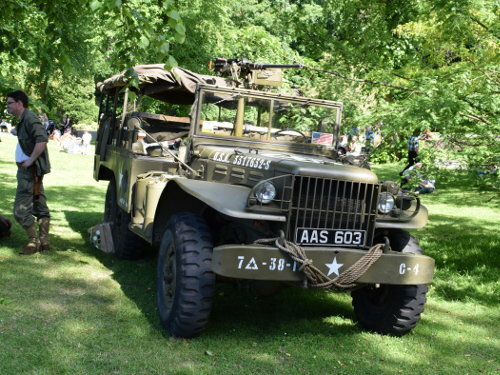 Simon Roberts, our area treasurer once again coordinated almost 50 historic vehicles on what has been the hottest day of the year (so far). 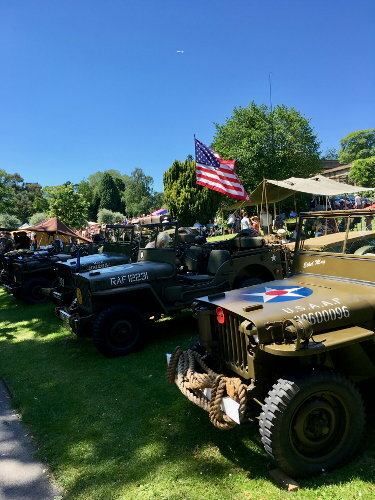 A great event, with some 25,000 this year enjoying what was a perfect summer day. 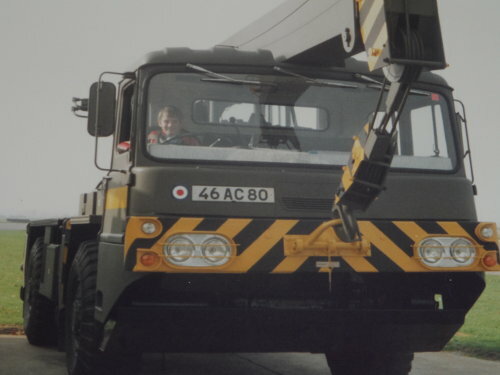 Finally, it is with great sadness that we report the sudden loss of one of our members, Mike Peacock, who many of you may have met, ran the 25 pounder artillery battery display team and attended many events in the UK and in Europe over the years. Our thoughts are with his family and we will miss him.